Luxury 2019 Holidays at El Oceano Beach Hotel & Restaurant, Mijas Costa, Spain. Organise your 2019 Luxury Holiday in Spain, Today! 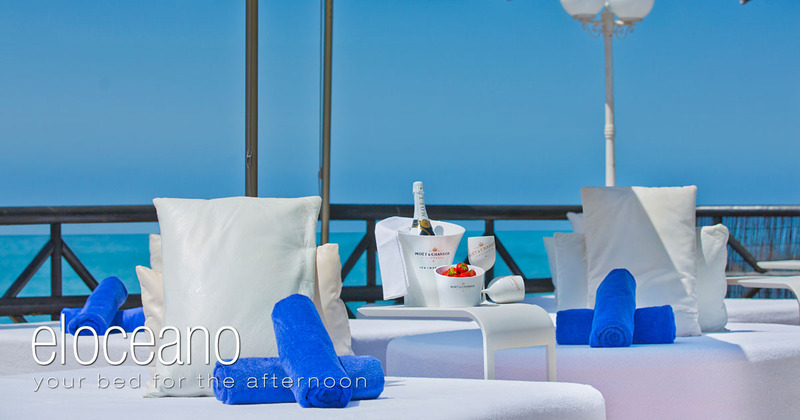 El Oceano Beach Hotel, Restaurant and Martini Lounge. El Oceano hotel and restaurant in Miraflores is an oasis of laid-back luxury, between Marbella and La Cala de Mijas on Spain's wonderful Costa del Sol. When we say 'beachfront', we really mean it. We are right on the water's edge with most rooms having unspoiled sea views and the restaurant and bar terrace right on the beachfront. Walk straight from the terrace right on to the Mijas Costa beach boardwalk and you are just a short stroll from the wonderful little town of La Cala de Mijas. 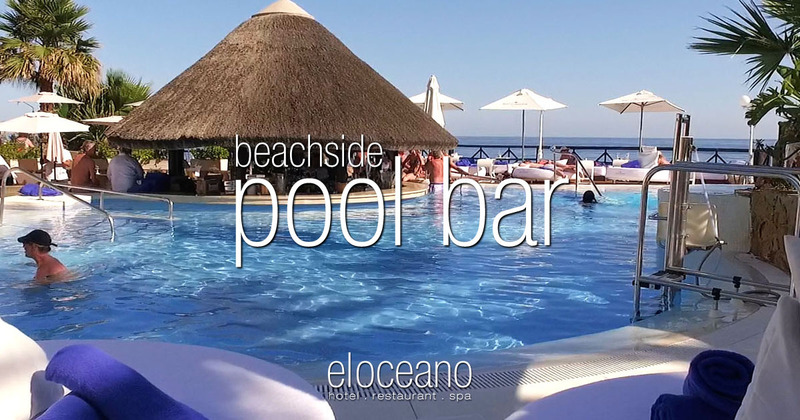 El Oceano... next to the ocean, close to perfection. April and the first few weeks of the 2019 Season are already very busy and the some of the peak times in June, July, August & September are already full in the hotel!! We know it’s still early, but if you’re thinking about a luxury beach holiday in the Spanish sunshine in 2019, now is a good time to confirm exactly the dates you need! It’s never too early to be organised! El Oceano Luxury Beach Hotel and Restaurant is already accepting reservations for the more popular times of year throughout 2019! Many of our regular guests have already reserved their luxury summer holidays, many Sundays throughout 2019 are beginning to fill up – and so many guests are already reserving the VIP sunbeds on the terrace! Talking of which… for your pleasure, we’ve made a few changes to the garden and terrace – nothing major, it’s’ still your favourite place to be! – but new sunbeds and furniture and a new roof we’re sure you’ll like very much!! Perfection just got a little better! If you’re new to El Oceano, we would love to show you around! Please take a look around our website, the photos you see are 100% representative of our accommodation, our Facebook Page ad Google Bsuiness are full of very kind and positive comments and we’re sure we have a very special hotel and restaurant – one you will like! Luxury Just Took a Step Up! During our 2018/19 winter ‘hibernation’, we’ve been particularly busy updating the garden and sun terrace!! New Pool Bar roof, newly re-tiled pool, new garden furniture and VIP Sunbeds!! Most of the hard work is complete and now we’re tiding and making sure all the details are perfect! We’re so looking forward to meeting all our terrace and VIP Sunbed guests this sensational 2019 season! If you’ve yet to the El Oceano Afternoon Experience, maybe now is the time to book your VIP Sunbed and see what all the fuss is about!! Read more about the improvements! Better still, BOOK YOUR VIP SUNBED this April!! Hotel. 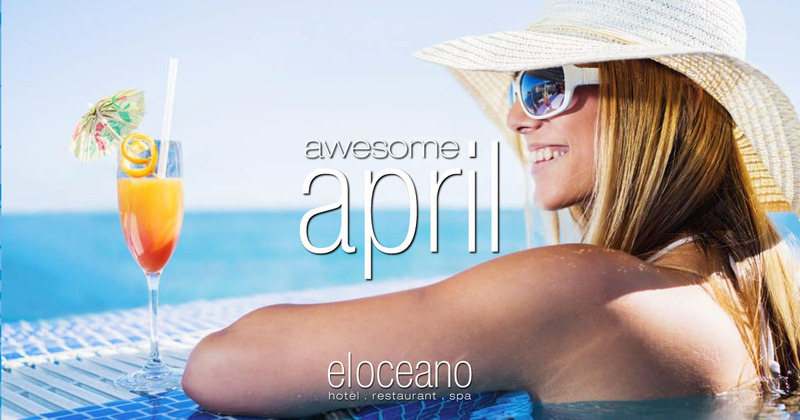 Another sensational season at El Oceano! As we gear up for a busy 2019 Season at El Oceano, already our regular guests are booking their luxury accommodation for the Spring and Summer of 2019, not to mention the VIP Sunbeds!! After the success of the VIP beds last year, our guests now know to reserve theirs early! Restaurant. And in the restaurant… we’re looking ahead to the 2019 Season, with some fantastic reasons to join us!! April sees The Grand National Event and the Easter weekend! See more about April and the start of the 2019 holiday Season!! It’s all good at El Oceano! Beauty Salon, Martini Lounge, VIP Sunbeds and the Pool Bar. Relax with perfect pampering, wake up with the best Espresso Martini, or spend a little bit of 2019 on a VIP sunbed around the pool bar – all part of an Awesome Afternoon! Next to the ocean… close to perfection. 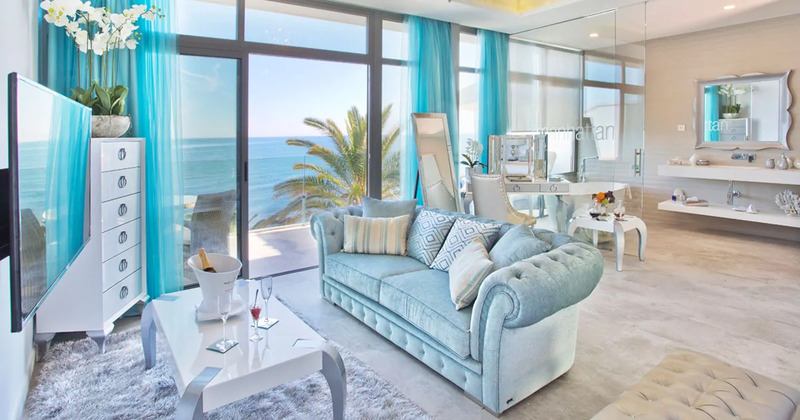 El Oceano is a beautiful ‘boutique‘ luxury hotel on Spain’s Mijas Costa. Family owned and run, our hotel is right on the beach with the most incredible, unspoiled views over the Mediterranean Sea. Our hotel accommodation is second-to-none and our restaurant is, perhaps, the most exquisite on the Costa del Sol. Right by the ocean, close to perfection! An oasis of laid-back luxury on Mijas Costa, privately owned and operated, where guest comfort and satisfaction is our principle concern. If you’re new to El Oceano Beach Hotel, please take a moment to look around – we’re sure you’ll be impressed! If you are one of our many returning guests – Welcome back!! 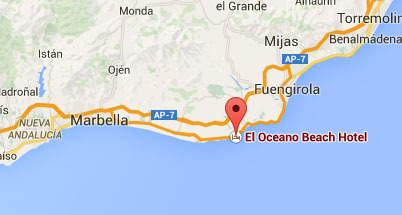 El Oceano Beach Hotel is located midway between La Cala de Mijas & Marbella, on the beautiful Mijas Costa. This jewel of a hotel gives the feeling of staying in your very own seafront residence, a truly unique and wonderful place. The hotel has 50 exceptional rooms, most of which are Ocean-Front Mini-Suites offering stunning views of this spectacular coast-line. Furthermore, for those who prefer to self-cater, we have 15 beautifully appointed south-facing studio apartments. 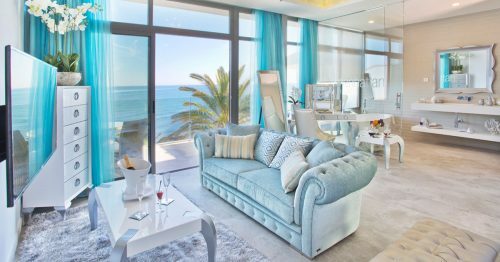 And don’t forget the four Penthouse Suites – they are just stunning! There is nowhere like El Oceano Beach Hotel. Our accommodation is some of the most exquisite on Spain’s Costa del Sol, newly renovated and redecorated, most rooms with Mediterranean Sea Views. Some of the exclusive rooms even have private, en-suite jacuzzis! Go on… spoil yourself! An Exquisite Beach Restaurant, Stunning Surroundings, Wonderful Menu. El Oceano beach restaurant boasts one of the finest dining experiences on the coast where lunch & dinner is served everyday either in the Ocean Room, on the Veranda or in the summer months outside on the stunning Waterfront Terrace, all featuring top class live music most evenings and in particular do not miss our ‘famous’ Sunday Lunch! Tasteful and elegant, the restaurant is spacious and bright. A mouth-watering menu, a respectful and professional service and fantastic entertainment every night. El Oceano Restaurant is the place to be on Spain’s sunny Costa del Sol. You will find no better! We host regular dining entertainment, almost every night of the year, with music acts from the UK and Spain, plus many ‘special’ guest acts. Entertainment is a big part of our restaurant’s attraction, with special event evenings like the Full Moon Gala Dinners, the Royal Ascot Ladies’ Day and Grand National celebrations! See some of the entertainment highlights here! Sundays are just splendid at El Oceano!! We have developed something of a reputation for the best Sunday on the Costa and those familiar with the El Oceano Sunday know that reservations are made weeks, often months in advance! That’s right – months! The perfect El Oceano Sunday starts with a cocktail (or two!) in the Martini Lounge, mixed by Pino, our expert (and award winning) mixologist! Once your appetite has been whetted, you’ll be invited to your table for a selection from our exquisite à la carte menu – plus out traditional/contemporary English Sunday Roast! You’ve drunk well, you’ve eaten well, you’re merry! Now the real fun starts! Retire to the garden and dance the evening away at the El Oceano Sunday Pool Party! An evening of live entertainment outside in the garden, either at a table or on one of our exclusive VIP sunbeds. A touch of luxury you won’t forget! Relax, be pampered, be beautiful. You deserve it. We are particularly proud of our Beauty Salon, where our beauty therapists, hairdressers & stylists and nail technicians are qualified to provide a wonderful menu of luxurious treatments. We also boast an Indoor heated pool, jacuzzi, swim-spa and steam room….sheer heaven! Why not pop in and take a look? Prepare to be impressed! Our team of stylists and treatment experts are always happy to advise on the newest and best treatments and the Beauty Salon is open all year round. It’s the perfect way to prepare for a truly perfect dinner in the restaurant, or for an ‘Awesome Afternoon’ on the sun terrace! Call the salon – all year round – on (0034) 662 153 693 to book your treatment! If you are a hotel guest, speak with Reception, who will be happy to organise your treatment. The salon frequently offers amazing deals! Our “Pick ‘n’ Mix” is always popular with our regular guests. Read more! Open to guests and non-guests alike, the El Oceano Cocktail and Martini Lounge is the perfect place to meet friends and relax with one of our specialist cocktails! If you’re booked in to the restaurant for a meal, turn up and hour early and enjoy an aperitif! Choose from our specially selected menu of classic and modern cocktails. Come and see the Cocktail Lounge, we think you’ll like it! The perfect day, the perfect venue. 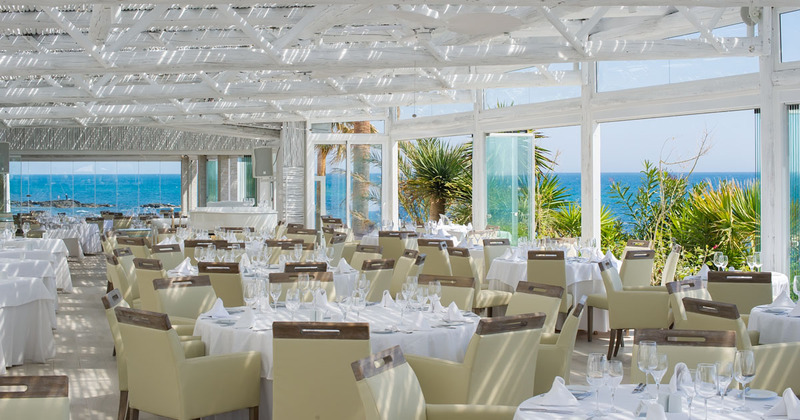 El Oceano Beach Hotel is the perfect venue for your wedding day… a more stunning location is hard to imagine! From lavish, sun-soaked weddings on the ‘famous’ Beachfront Terrace to intimate blessings in the hotel’s beautiful gardens, enjoy an elegant wedding reception with fabulous cuisine from our world class kitchen, in mesmerizing and relaxed surroundings…all by the water’s edge. Each wedding at El Oceano is both unique and special, therefore one-to-one consultation is essential in order to make your wedding day extra special. Make an enquiry about your perfect wedding at the perfect beachfront wedding venue, click below.